With 202 commercial space launches, the US leads the international commercial space race. The United States has had more space launches than any other country. In 2018, commercial space launches have taken a new turn with the entry of private companies in the business. 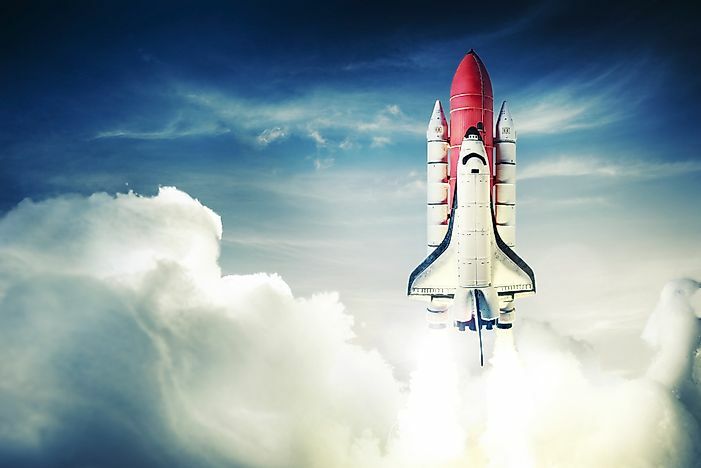 In February 2018, Space Exploration Technologies Corporation headed by Elon Musk launched the most powerful rocket yet into orbit. This was done at a fraction of the cost (about $62 million) and expenditure used by national governments. In addition, Space X's inexpensive launch cost provides a marker for future investments by private companies into the spaceflight domain. Space launch market competitions began in the 1950s with the key players being the United States and the Soviet Union. The main reason for launch services was to put communication satellites into orbit. This was explicitly done for government programs. The space-age era dominated by the United States and the Soviet Union ran from the early 1950s to early 2000s. Up to date, the United States has the record for the most number of commercial space launches at 202, followed by the European Union at 169 and followed closely in the third position by Russia at 162 space launches. China, India, and Ukraine also make up the list of countries with the most successful commercial space launch in recent times. China has had 23 successful space launches, followed by India at 4 and Ukraine with 1. SpaceX, the most successful private company in the race for commercial space launch, first launched its rocket, the Falcon 9, in 2010. Since then, the corporation has steadily climbed the ladder and obtained important space contracts from the United States government. High priority contracts such as defense launches including a spy satellite for the NRO (National Reconnaissance Office) and the X-37B rocket are some of the launches the company has been entrusted with. The very first private commercial space launch attempt was by a French company called Arianespace in the 1980s. However, the field was not very well understood and customers still relied on the reputable United States and Russian rockets. Only until recently with SpaceX, has the commercial space industry opened up to private corporations. This has brought increased competition and investment in the space industry. With increased competition, the question of who is winning becomes vital as companies and governments compete to dominate the lucrative space race. With increased competition and price pressures, multiple industries in the space domain are affected by new innovations and technologies in the industry. In future, there will be more entrants in the commercial space launch race as private companies continue to invest capital. Satellite design and manufacture is becoming increasingly affordable and the low-cost option of reusable rockets making it so. The Falcon-9 rocket has shown that rockets can be recovered from the launch and reused. This is because of the new technologies used in the launch vehicle which can launch a pair of rockets in a single launch thereby saving the cost by half.The refurbished rocket boosters present a lucrative proposition to venture capitalists who aim at reducing cost and maximizing the number of repeated launches. The commercial spaceflight is seen as a profitable venture that will have a positive ripple effect on many areas. What Was The Commercial Revolution In Pre-Modern Europe?